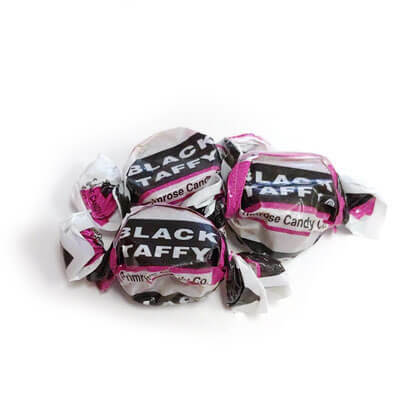 For a bold-tasting, old-fashioned treat, bite into a piece of soft, tri-colored Black Taffy with the combined flavors of anise and licorice. Also known as Blackjack taffy. 10 oz. Approx. 3 pcs per oz.